The first prototype of the “Kaplan” tracked weapon carrier / anti-tank vehicle the production of which was completed in January, continues its validation activities successfully. The vehicle’s qualification tests will begin in the next stage and after testing completion, the mass production phase will start. “Kaplan” is being developed within the scope of the Weapon Carrier Vehicle Project Contract signed between the Undersecretariat for Defense Industries and FNSS on June 27, 2016 and effective as of October 14, 2016. The contract covers the procurement of a total of 260 Armored Anti-Tank Systems in tracked and wheeled configuration, designed and produced with “national and local” capabilities. According to the project plan, the detailed design of the vehicles was examined and approved by SSM and Land Forces Command within the 15th month of the project schedule. This means that the production activities have started as per the classical project methodology. 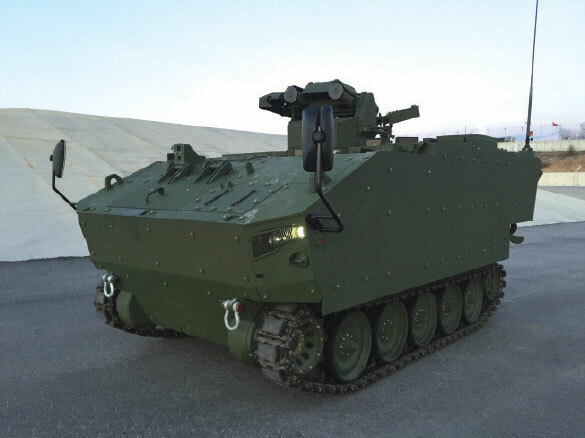 In addition to detail design, FNSS has produced the first tracked vehicle prototype and launched the Anti-Tank Remote Controlled Turret (UKTK) for the users confirmation as well as initiated the factory tests. The 15-month period for the production of the prototype is noteworthy in terms of a short time span and it is considered to be a record among recent similar projects in the world. The first prototype of the “Pars” 4x4 Anti-Tank Vehicle, which is the Wheeled type Anti-Tank Vehicle Project is scheduled to be completed in April and the validation tests are scheduled to be initiated in May. The mass production of both tracked and wheeled type vehicles developed within the scope of the Anti-Tank Vehicle Program is planned to be completed in 2021 and all 260 vehicles will be delivered to the Land Forces Command. 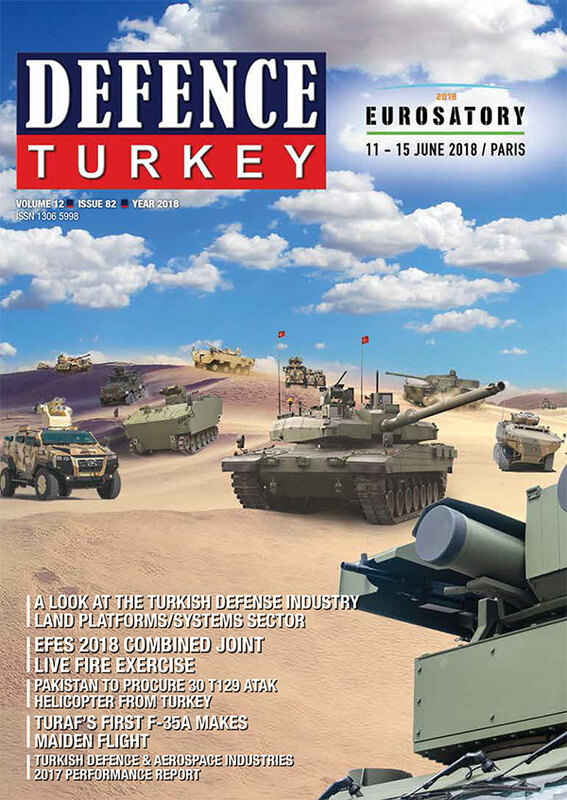 FNSS Marketing and Programs Group Head Aybars Küçük said the following about the point reached in the Project: “FNSS has defined the standards of the upcoming period in the field of tracked armored vehicles with the ‘Kaplan’ product family. We are proud that the transformation of the “Kaplan” Tracked type Anti-Tank Vehicle, the smallest member of our ‘Kaplan’ product family, from requirement into reality in 15 months. Our Land Forces Command determined its requirements by defining a unique concept. Our Undersecretariat for Defense Industries designed the project in such a way to ensure that this need is met in the most efficient way and to obtain a national and local solution. The task was awarded to FNSS with the tender executed by SSM. I am confident that with this acceleration we achieved in the project, we will be able to successfully complete the qualification and progress to the mass production stage very quickly. We will introduce capability that will attract the attention of the world’s armies to the Land Forces Command”. “Kaplan” is a new generation armored combat vehicle with an automatic gearbox, having joint operation capability with main battle tanks. The vehicle has a platform design that allows it to perform all kinds of missions by integrating different subsystems. Developed for carrying an anti-tank weapon system, “Kaplan” is the most modern of its kind among worldwide armies. It has mine and armor protection and was designed as a platform that can be used also for different missions thanks to its low weight. It was equipped with a loaded anti-tank missile and coaxial 7.62 mm machine gun through the anti-tank weapon system developed with modern shooting and command control capabilities. “Kaplan” has a low silhouette and with its twin 5 road wheeled tracks it has the ability operate under hot/cold weather conditions at high speeds not only on asphalt and stabilized highways, but also on soft soil and rough terrain. “Kaplan” Tracked type Anti-Tank Vehicle is one of the very few vehicles in its class having amphibious characteristics. Thanks to the two water propulsion systems located at the rear of the vehicle, it can perform in deep and fast flowing waters. The hull of “Kaplan” is manufactured and integrated using a ballistic welding technique. While the driver area expanded with power pack cabin is located at the front of the vehicle, the gunner and the commander areas are located in the middle of the vehicle. The rear part includes the gunner’s aid and additional crew sections.